RMBL Research was featured on NPR’s Morning Edition on July 23rd. New marmot study—more socially connected marmots don’t live as long! 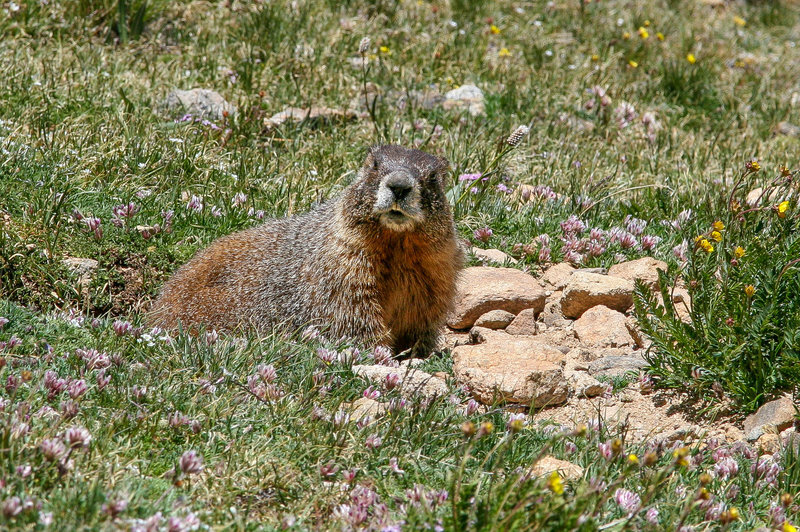 Click the link to learn about RMBL’s yellow-bellied marmot studies. Wonder what’s up with the weather in Gothic now – or at any time of year? Click here for billy barr’s weather page to get your daily fix of forecasts, including snow pack information. The Visitor Center and Store is open daily through September 30th. Hours are 10 am – 4 pm. Take the beautiful drive up to Gothic! Join RMBL and Wildland Trekking September 3 – 7 and experience some of the best day hikes around Crested Butte. Learn about natural history, geology, and current RMBL research, feast on gourmet meals, and stay in the rustic 1880s mining town of Gothic, CO. Click on the link for more information. THIS EVENT IS SOLD OUT! This evening is an opportunity to enjoy a fine dinner in RMBL’s billy barr community center followed by tours through the town site and RMBL’s historic buildings. August 22, 2017 from 4:30 – 8:30 pm, $40 per adult, $20 for kids ages 12 and under. For details please click on the link above. Are scientific studies conducted at RMBL relevant to your world? Curious about the history of the 1880s silver mining town of Gothic? We offer two 1-hour tours daily at 11 a.m. and 2 p.m., $15 per person. We also give a free 15 minute interpretive presentation at 1 p.m. each day. Please click on the link for more information. Register Today for Youth Programs! Registration is open for Summer 2017 Youth Programs (Grades K-8). Contact Ann Colbert, 970-901-1395 or enviro-ed@rmbl.org for more information. Please consider supporting science at RMBL in 2018! To donate, please click on the link. THANK YOU! How Can You Engage with RMBL? Click here to learn more about RMBL! and operates under permit from the USDA Forest Service, Gunnison National Forest.